Already confirmed to grace the lawns of London’s Honourable Artillery Company for the City Concours is a Porsche 911 Reimagined by Singer. 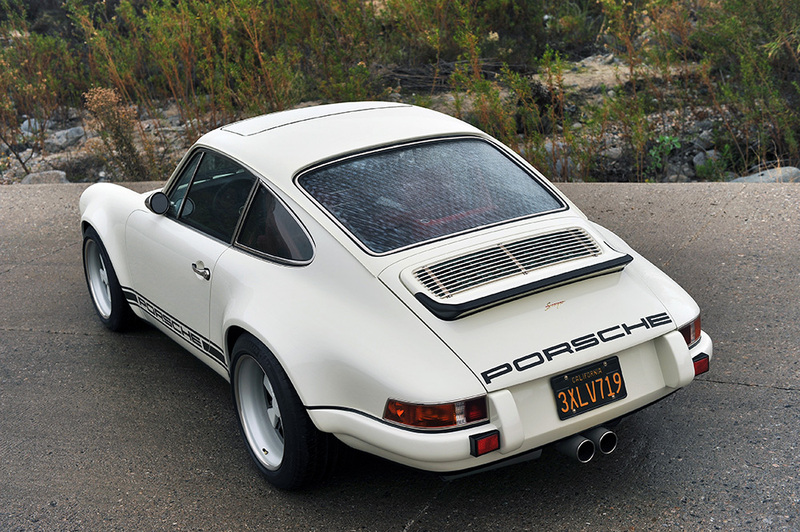 Each vehicle from the California-based outfit is restored as a bespoke collaboration with the customer; this particular vehicle has its full carbon-fibre body finished in Singer Racing White with black lettering. The car has a 3.8L Cosworth-developed flat-six, six-speed transmission and features the external oil and central fuel fillers. Each commission demonstrates the company’s ethos that ‘Everything is Important’. The result of Singer’s work is, as the company describes it, “a love letter to a golden air-cooled era” of the Porsche 911. Another impeccable reimagining of a classic model is Eagle’s E-Type Low Drag Coupé. Taking around 7,000 man hours to complete it uses an E-Type as its base but almost everything is new or upgraded. The body is now aluminium rather than steel, there’s an extra two inches in the wheelbase, a lower floor pan, a new five-speed gearbox and plenty more in between. It is the ultimate modern reinterpretation of the E-Type. Zagato is one of the world’s most famous names in bespoke coachbuilding, and the City Concours will this year feature one of Zagato’s bespoke Ferrari models – the 550 GTZ Barchetta. Only thee Barchetta variants were produced, making it one of the rarest modern Ferraris in existence. Underneath the bonnet is the Ferrari 550’s 5.5-litre V8 but the bodywork has been the subject of a five-month makeover in true Zagato style. Also on display is the one-of-seven Touring Superleggera Disco Volante Spyder. Using an Alfa Romeo 8C as its base, this handcrafted model is finished with a dramatic and retro-inspired body that took 10,000 hours to complete. Those familiar with the Alfa Romeo Disco Volante Spyder won’t fail to spot the similarities between it and its modern namesake. The collection of cars on display isn’t the event’s only attraction, with a number of luxury brands showcasing their goods and a host of quality food and drink options. There will be stands from dealers Stratstone, Romans and Clayton Classics, alongside a display from reborn British sports car maker, Atalanta, and the Official Outfitter to the City Concours, Mason & Sons. The City Concours will be held from 8-9 June at the Honourable Artillery Company grounds, near to the Barbican and Bank.